Delhi, India (24th May, 2017) — ASUS, the Taiwanese leader in mobile technology, today unveiled ZenFone Live, the world’s first smartphone with hardware-optimized, real-time beautification technology engineered into the brand-new BeautyLive app, enabling users to share more glamorous versions of themselves — live. Commenting on the launch, Peter Chang, Region Head – South Asia & Country Manager of ASUS India said, “Live-streaming is currently the darling of the social media space, praised by ‘thought leaders’ and ‘gurus’ alike as the next phase of evolution via social networks. With the advent of live streaming capabilities on almost all social media platforms, we realized that our customers needed a smartphone which would enable them to ace their live casts. 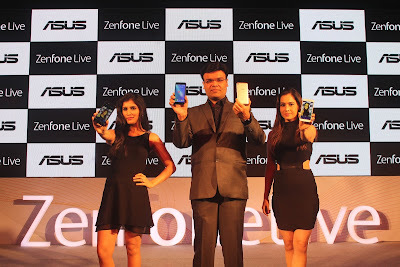 ASUS ZenFone Live is a result of a stellar combination of innovative technology, consumer feedback, and latest trends”. ZenFone Live’s all-new BeautyLive app introduces the world to real-time beautification, allowing users to create and maintain the perfect look when going live on their favorite social-networking sites. BeautyLive combines smart software algorithms and hardware acceleration to automatically smooth skin and remove blemishes, and it integrates seamlessly with Facebook, Instagram, and YouTube. The result is the ability to craft and broadcast instant glamor that keeps the user looking as beautiful as they want to be throughout every live-streaming session. The BeautyLive feature works with both front and rear camera. ZenFone Live’s front-facing camera is made for snapping sharper, clearer selfies. The sensor has extra-large, 1.4μm pixels that improve sensitivity to light by up to 200 percent compared to smartphones with standard smaller pixels. ZenFone Live also has a soft-light LED flash that illuminates true skin tones, and it’s equipped with a wide-angle lens with an 82° field of view — so users are able to frame, capture details in wide angle and broadcast it to the world. 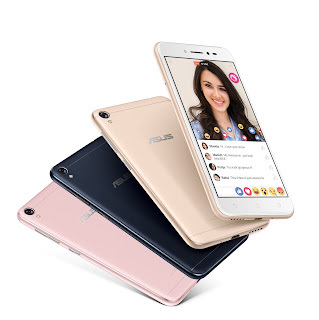 ZenFone Live also has a 13MP rear camera with f/2.0-aperture, five-prism rear lens, and benefits from ASUS PixelMaster’s industry-leading low-light technology to increase light sensitivity by up to 400 percent. It also enhances noise reduction and boosts color contrast by up to 400 percent. It supports up to 12 different camera modes, including real-time Beautification, Low Light and Super Resolution modes, to captures beautiful, high-resolution photos. To ensure that the user’s voice is always heard, ZenFone Live has a pair of highly sensitive MEMS microphones that are expertly tuned and precisely positioned to reduce noise. This careful arrangement means that speech pickup is crystal clear, so users are able enjoy live-streamed social-media fun in total clarity — whether the backdrop is a busy street, a noisy bar, or the hustle and bustle of a shopping mall. ZenFone Live features a powerful speaker with a five-magnet design and metal voice coil to produce loud and clear audio with supreme quality in every scenario. This speaker is powered by a smart amplifier that increases audio resolution and loudness while ensuring that the speaker is not damaged. ZenFone Live also features DTS Headphone:X™, a revolutionary surround-sound technology that synthesizes a full 7.1-channel virtual surround-sound experience, making all content sound better over headphones. ZenFone Live’s brilliant 5 inch IPS HD display shines brightly through strong glass that is precision-milled at the edges to create a gentle, 2.5D curve. The natural, ergonomic feel of the glass flows around to the back, for comfort that matches the fine style. ZenFone Live also has an impressive 75 percent screen-to-body ratio, for more screen and less bulk. 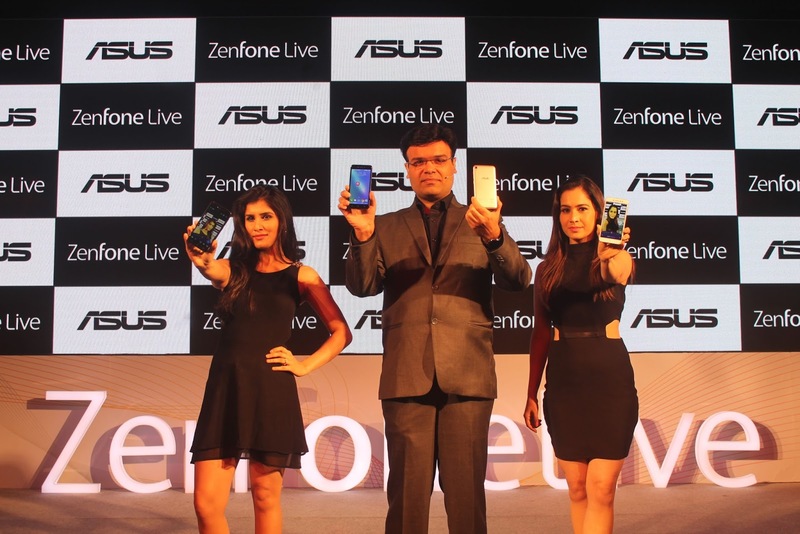 Priced at INR 9,999, the ASUS ZenFone Live will be available from today (i.e. May 24th, 2017) with all major E-tailers and Retailers in India. * Only one Google account is entitled to 100GB of Google Drive space free for 2 years on ASUS mobile devices. 100GB Google Drive upgrade may only be redeemed once in a single 12-month period on ASUS mobile devices.